Christmas is coming, but don’t get overwhelmed about finding unique gifts for all your family and friends. Shark Tank, surprisingly, has got you covered. So far, Season 8 has been especially chock full of clever gift ideas, and I’m in. Not only did the show debut Line Cutterz for the fisherman in my life (my father), but it also presented PupBox, a monthly subscription service my dog-loving mother would absolutely appreciate. And those were just my favorite gifts from tonight’s episode. Other favorites in Season 8 include the Fizzics Beer Tap for beer lovers like my boyfriend and Eco Flower’s wooden flowers, which would be great for a grandmother or sister. The list doesn’t end there. Some of my favorite gifts from years past include the Squatty Potty, which is as hilarious as it is effective, and Grace & Lace leg warmers — I actually bought a pair before the company ever appeared on Shark Tank. 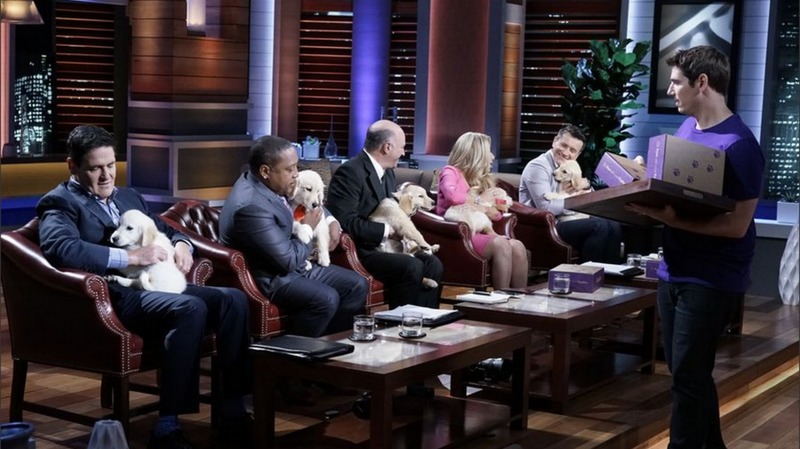 More: Shark Tank investors went crazy for a new pet product, but is it that cool? No doubt as we head into the holidays, the Shark Tank gifts will just keep getting better and better, and it’s no secret that this show is great advertising for new businesses on the rise. I interviewed Shark Tank Shark Robert Herjavec a few months back, and even he didn’t deny how worthwhile the investments are on the show. But I’m not complaining about helping Herjavec’s pocketbook as a consumer. I’m also getting to know the entrepreneurs as well as the products on Shark Tank, which means I feel invested in the success of these companies as more than just a fan. It may be the most genius marketing strategy of the 21st century yet. Now, please excuse me. I have some Christmas shopping to do. Are you planning on buying any Shark Tank products for your friends and family this holiday season?